The Alabama vs Virginia Tech game in the first round of March Madness could provide to be one of the better games of the opening round. These are two teams that have the ability to play tough basketball games, advance to the next round and bust up some brackets along the way. As we made our Alabama vs Virginia Tech predictions we had struggles since we knew that this could be a game that goes down to the wire. The odds for Alabama vs Virginia Tech opened up with the Hokies as (-1.5) point favorites. The bets started coming in on the Hokies as 63 percent of the wagers were on Virginia Tech. 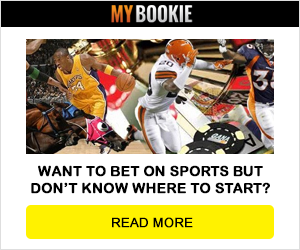 That caused a slight line move as the point spread can now be found at (-2.5) at MyBookie.ag, the best sportsbook to bet on March Madness. Avery Johnson has the Crimson Tide headed in the right direction. Collin Sexton will take over the tourney and be on display in this game. The Hokies are just 3-7 -1 against the spread (ATS) in the last 11 Thursday games. They will be ushered out in the first round. Alabama (+2) wins the game and advances to the next round.